Every community has its secrets. There are things that no one talks about because they are afraid to. Often, these things are not well understood and it is hard to know what to say about them. They are usually deeply personal as well and referred to as a stigma, which is a word that communicators who work in health care know well. When it comes to changing perceptions about a disease condition or issue, combating the stigma around it is usually the toughest battle to fight. But if we don't try, then the unthinkable can happen. About five years ago, the father of my friend Rashi put a gun to his head and shot himself. He was struggling with a deep depression and no one in the community knew how to acknowledge it or help him. After years of struggling in the hospital, he died last year. This story has been repeated over and over in communities around the world. The fact is, mental illness is a taboo. Because it is not physically visible, many communities don't acknowledge it and this lack of understanding can lead to disastrous results. While some are making strides in changing this, it still remains an undiscussed topic all over the world – including in my culture: the South Asian one. 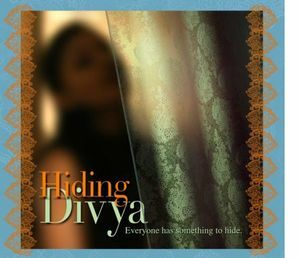 Inspired by the story of Rashi's father, this weekend another good friend, Rehana Mirza, is releasing her first feature film called Hiding Divya about 3 generations of women who struggle with mental illness and a community surrounding them who don't understand. It is a very personal project for the entire team behind it, and one that all of us hope can have a transformative power to reduce the stigma around mental illness in many communities, including our own. If you live in New York City, NY; Edison, NJ, Novi, MI, Peachtree, GA, North Bergen, NJ or Fremont, CA – please consider going and seeing the film in person … and if you happen to be in another community, check out the Facebook page for the film and read a letter from the Director of the film to help support this important effort. Stigma can be a terrible thing and when films like Hiding Divya take on the tough challenge of shining a light on it and forcing communities to confront it, we all need to help share that story. The world needs more of them.